The TPP – what does it mean for science? Right now, hundreds of diplomats and trade experts from around the Asia Pacific region are ensconced at Sky City convention centre in Auckland for top-secret negotations as part of the Trans-Pacific Partnership Agreement. The level of secrecy alone is of great concern and to some, anti-democratic, let alone what is actually being concocted in the latest draft agreement. 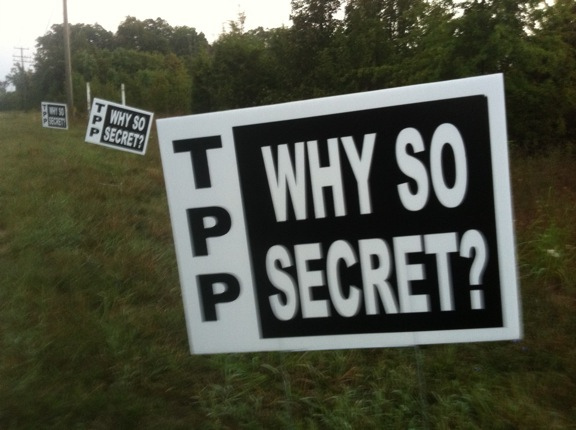 Prime Minister John Key has backed the secret nature of the negotiations – commercially sensitive and all that. But enough information has leaked from previous drafts to raise concerns about what is being hammered out on our behalf. And enough of a picture of what the TPP contains has also been created to suggest it could have implications for science, research, innovation and the creation and use of intellectual property in New Zealand. The big science-related area of concern flagged so far is around potential changes to how drug buying agency Pharmac operates and therefore the type of access New Zealanders have to important drugs and medicines – and at what price. The Prime Minister and pharma lobby group Medicines New Zealand have both said that there’s no intention to try and dismantle Pharmac – which is hailed around the world for keeping drug costs low in New Zealand. But the pharmaceutical industry isn’t happy at the amount of power Pharmac, which turns 20 next year, wields when it comes to deciding what drugs will be made available in New Zealand. Pharmac is the subject of numerous US Government cables that were released by Wikileaks. The cables, such as the following one sent from the Wellington Embassy in 2006, analyse the US drug companies’ desire to use the lever of a free trade agreement to allow them to more freely sell a wider range of potentially higher priced drugs here. Another cable from 2006 (all those with references to Pharmac are helpfully summarised here) points out the commercial reality John Key faces and explains his public commitment to maintaining Pharmac – we can’t afford higher priced drugs. So if Pharmac remains intact, what type of changes may be in store for it to placate the drug companies – and the US TPP negotiators? – Better transparency around funding applications and the Pharmacology and Therapeutics Advisory Committee (PTAC) as well as for the scientific evidence on which decisions are made. – Establish a timeline for processing applications and make decisions (“don’t sit on PTAC recommendations for many years”). – Clear definition of decision criteria and how they are applied. – Direct stakeholder representation to the clinical committees. – All health technology investment decisions made on similar grounds. – Intellectual property regime brought up to international best practice. Essentially, the drug companies want to gain a better understanding of how the Government decides to fund drugs, the processes they have to go through and they want more input into the process. They want the same rules to apply to all drugs considered for funding. It sounds reasonable enough, but what the implications of the above would actually be once they’ve gone through the TPP mincer is anyone’s guess. It may not mean higher-priced drugs, but it could influence the mix of drugs funded by Pharmac and potentially give drug companies ammunition to take legal cases under the investor trade provisions being negotiated (see below). Possible scenario: A US drug company is able to convince a clinical committee that its drug’s efficacy warrants Pharmac choosing its drug over a rival’s – say a cheaper generic. Bottom line: Pharmac is certainly a target in these negotiations and its track record of delivering quality low-priced drugs to New Zealanders is at risk. But we can’t afford higher priced drugs, which is driving the Government’s commitment to retain Pharmac. Several large and influential US companies develop and sell genetically modified organisms. They’d like to do more business in New Zealand – recently the likes of Du Pont and Monsanto were in New Zealand outlining some fairly credible arguments for why New Zealand needs to get serious about the technology to remain a competitive player in agriculture. “…if the product has been significantly changed nutritionally or if there have been changes in other health-related characteristics of the food”. If this makes it into the TPP, some products containing GMOs could end up on shelves in New Zealand without being labelled as such. “A recognition from the TPP countries that no new approval process is necessary for stacked traits that have already been approved individually by national authorities”. That could have implications for the extent of the Environmental Protection Agency’s powers. It oversees GMO applications under the HSNO Act. Possible scenario: Feed imported to New Zealand for livestock may contain GM material but doesn’t have to be labelled as such or go through specific regulatory approval. 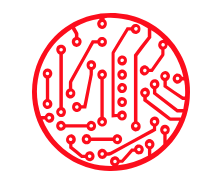 Bottom line: Many scientists will welcome any freeing up of regulations around use of new organisms as a sign of progress on technology New Zealand has stubbornly refused to embrace. But the Government will be nervous given the public opposition to the use of GM technology and materials in New Zealand and the GE Free crowd will hit the roof. The treatment of intellectual property under the TPP is highly contentious due to the fact that the intellectual property chapter of the TPP document was leaked in 2011 and revealed some potential fish hooks. There are well documented concerns around the TPP in relation to copyright, software patents and the digital economy which are well documented. I wrote a Listener column about them (sorry behind the new pay wall). The intellectual property provisions have serious implications for science too. The draft text and submissions from the US appear to seek to tighten up protection of intellectual property, including the use of patents. While most countries have some sort of patent laws to allow inventors to protect their ideas, the US and others include “carve outs” for “therapeutic and surgical methods for the treatment of humans”. There’s more on the issue here, including a video interview with a legal expert. The exclusions mean that while you might be able to patent a medical procedure, you won’t be able to enforce it. This is mainly to prevent situations where potentially life-saving treatments cannot be administered because someone has a patent on how the procedure is carried out and the medical practitioner hasn’t secured a license to perform it. Each Party may only exclude from patentability inventions, the prevention within its territory of the commercial exploitation of which is necessary to protect ordre public or morality, including to protect human, animal, or plant life or health or to avoid serious prejudice to the environment, provided that such exclusion is not made merely because the exploitation is prohibited by law. Currently, in most countries, surgeons who perform patented surgical methods are not liable for patent infringement on these activities. …claims including methods of treatment of humans by therapy or surgery, and claims including methods of diagnosis that are performed directly on the human body, will not be accepted. The leaked TPP draft suggests the trade agreement could tighten up that provision to make patents for surgical procedures enforceable. That would put the trade agreement in opposition to the law in several member countries, including the US. Possible scenario: A doctor carrying out a commonly used but patented cancer diagnostic procedure suddenly finds that he is infringing the patent holder’s intellectual property rights and has to secure a licence to continue carrying out the diagnostic procedure. Bottom line: Allowing patents on medical, diagnostic and surgical procedures to be enforced could have serious ramifications for how medical practitioners operate and therefore have implications for medical treatment in New Zealand. Other areas of the TPP could impact the operations of scientific institutions, particularly the much talked about “investor state” provisions that could allow companies to sue governments directly over alleged breaches. 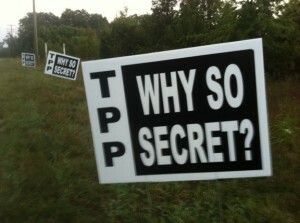 It is important to point out that all of the above is based solely on snatches of leaked TPP texts. But that is all the public has had to go on throughout this entire TPP negotiating process. The leaked text and the various submissions to the US Government on free trade deals have shown what US industry is pushing for and therefore what the US negotiators are hoping to have included in the final TPP agreement. It may be that many of these concerns will turn out to be unfounded, that the wording waters down the risks posed. But we have no way of knowing one way or other, which is why science and the New Zealand public in general should care about the impact this free trade agreement will have on our ability to innovate and decide what scientific innovations we wish to employ and adopt in our country.